The annual Monitoring the Future survey of high school students find cigarette and alcohol use down, but marijuana use up. Republicans in Congress are pushing to reinstate a ban on use of federal AIDS funds for needle exchange programs. If they succeed, if won't reduce federal spending, but it will kill people. Please call today to tell Congress and the President to say no. 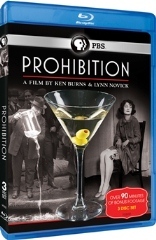 We are pleased to announce our newest offer for donating members, the recent Prohibition documentary by Ken Burns and Lynn Novick made for PBS. These three disk sets include 90 minutes of bonus footage not available on the web site or shown on TV. As expected, the House of Representatives has passed a bill banning synthetic stimulants and cannabinoids. On the positive side, 98 members voted against responding to the drugs with a new prohibition. Busy, busy, busy. Here's this week's medical marijuana news digest. Mass murders in Ciudad Juarez and the Comarca Lagunera, and the army killed 11 cartel gunmen in Tamaulipas. Just another week in Mexico's prohibition-related violence. Marijuana legalization gets strong support in polls in Colorado and Massachusetts, but not enough for activists to rest easy. Arizona Gov. Jan Brewer has decided the state will argue in federal court that federal law preempts the dispensary provisions in the state's voter-approved medical marijuana law. A Republican congressman from Georgia has introduced a bill that would mandate drug screening assessments for unemployment applicants and drug tests for those assessed as having a "high probability" of being drug users. But he cited only apocryphal evidence for any need for such legislation. Spain's Basque County Autonomous Community is on course to legalize marijuana early next year. A new law allowing prosecutors to divert small-time drug possessors into treatment instead of prison went into effect Friday. A 24-year-old California man is dead after a shootout during an attempted drug bust, and a local gang is vowing revenge. A Virginia sheriff gets raided, a sleazy Michigan cop gets busted, a New Jersey cop gets convicted, and several Oklahoma lawmen are headed to prison.